Now that Autumn is essentially over in terms of how I dress / accessorize I figured it was time to post two nail looks I did recently. 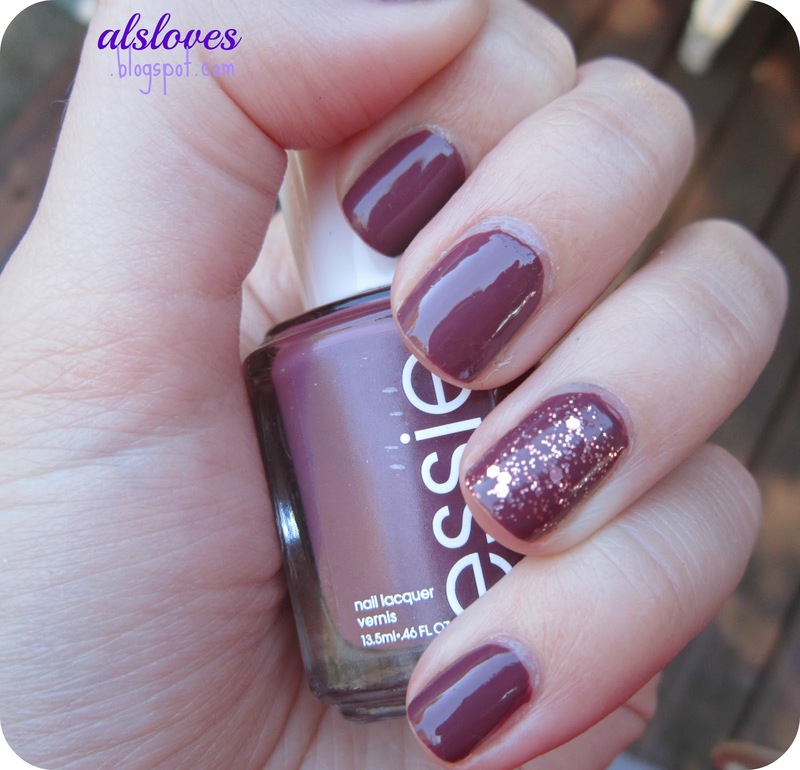 The picture above is the classic glitter accent nail with Revlon's Sparkling and Essie Angora Cardi on the nails. Angora Cardi is such a strange shade, it is very reminiscent of nails in the 80s and early 90s, I can picture someone with heavy lip liner back in the day loving this polish hah (tell me I'm not crazy) Anyways I thought it was a pretty colour, but that is definitely what it reminded me of on the nails. Then a trend that I absolutely love and can't wait to do with Christmas colours is the half-moon manicure. Here I used Orly Decades of Dysfunction and Essie Carry On which is one of my all time favourite polishes. This is such a classic manicure, and I just find myself gazing at my nails, like the typical polish addict that I am.